Cleveland Historical is a free mobile app that puts Cleveland history at your fingertips. 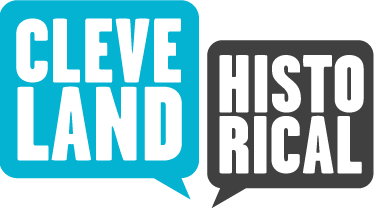 Developed by the Center for Public History + Digital Humanities at Cleveland State University, Cleveland Historical lets you explore the people, places, and moments that have shaped the city's history. Learn about the region through layered, map-based, multimedia presentations, use social media to share your stories, and experience curated historical tours of Northeast Ohio. Cleveland Historical is available in the iOS App Store and Google Play. Follow the project on Twitter @CLEhistorical or send an email to digitalhumanities@csuohio.edu. See below for inquiries about image rights and reproduction. The Center for Public History + Digital Humanities seeks to transform how we teach, learn, and study history. In partnership with scholars, students, cultural organizations, and communities, CPHDH has developed state-of-the-art public history exhibits, interpretive research projects, teaching initiatives, and digital resources. This project would not be possible without the support of the Cleveland State University Department of History and the ongoing research efforts of the graduate student staff at the Center for Public History + Digital Humanities. The photographs found on this site come from a variety of sources. Foremost among them, the CSU Michael Schwartz Library Division of Special Collections has generously shared their archival collections, which include the always-growing Cleveland Memory Project, the extensive editorial library of the Cleveland Press newspaper, and other critical research material. The Library's Digital Productions Unit has also provided significant support in the form of image research and reproduction. Key research assistance also comes from the Cleveland Public Library, who have contributed artifacts from their impressive Photograph Collection for use in this project. Additional image sources include Ohio Memory, the Western Reserve Historical Society and numerous private organizations and individuals. Unless otherwise noted, the oral history audio used in this project is from the Cleveland Regional Oral History Collection. The collection, maintained in partnership between the History Department and Michael Schwartz Library at Cleveland State University, includes hundreds of interviews collected by students, faculty and staff since 2002.